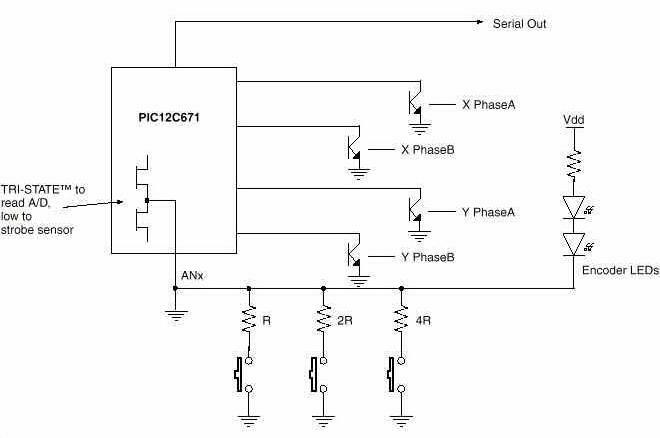 PIC12CXXX is becoming the main controller of the mouse , this circuit is a PIC12C671 control mouse. But how do the buttons work? They're tied to ground and then run to ground again with resistors. I'm probably missing something. I can't see it working either... I am not sure if this is an clever ad or a real person posting. Now that you mention it, it does kinda seem like an ad. Yes, another chinaicmart.com ad, like his 2 previous posts.